Introducing a new member to KHD family, Excellent Builders and Constructions from Malappuram, Kerala. 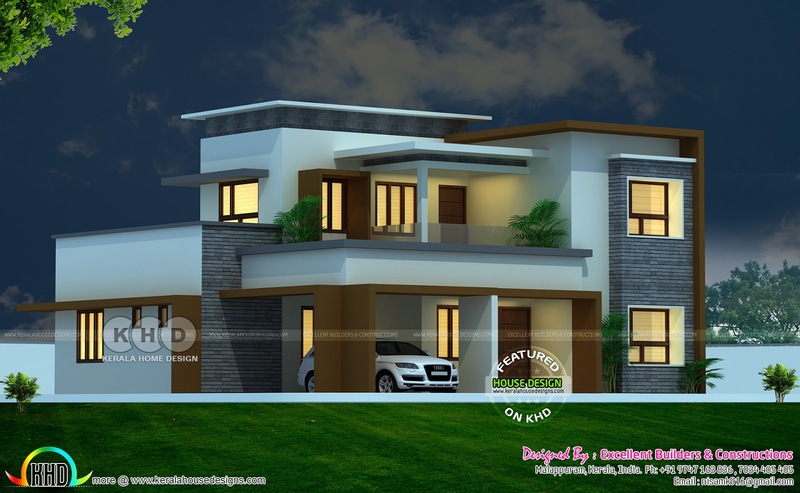 Showcasing a 2683 square feet (249 square meter) (298 square yards) 4 bedroom flat roof modern house with ground floor and first floor drawing. 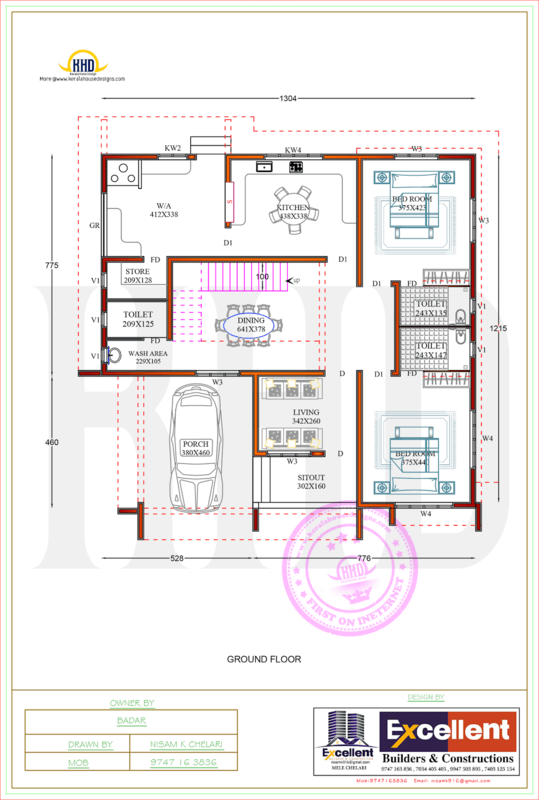 Ground Floor Area : 1471 Sq. Ft.
Porch and other build up area : 255.65 Sq. 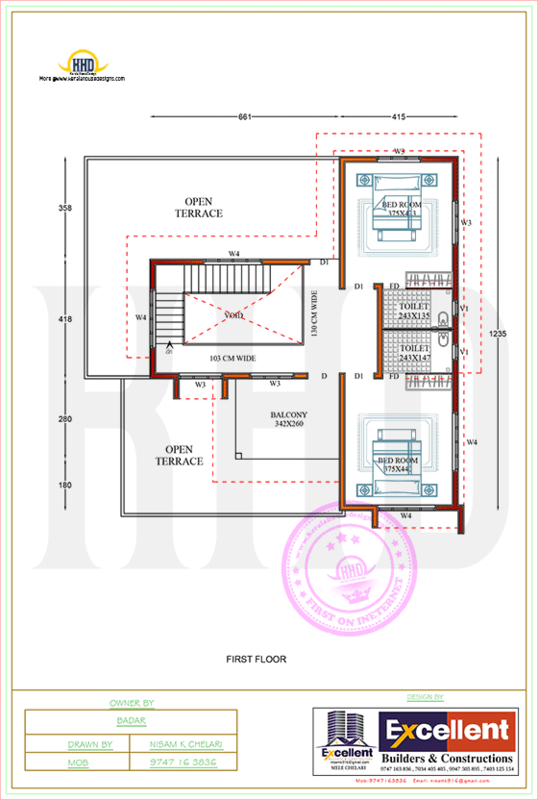 Ft.
First Floor Area : 956.67 Sq. Ft.
Total Area : 2683.32 Sq. Ft.
0 comments on "Flat roof house with floor plan by Excellent Builders and Constructions"